Beans are an ancient staple crop grown throughout North and South America. 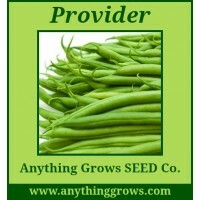 Sow bean seeds 1-2 inches deep in full sun, when danger of frost is past. Soaking for 1-2 hours before planting speeds germination. Beans will rot if soil is cold or very wet. Sow bush types 6-12 inches apart in beds; pole beans 6 inches apart in rows. Provide support for pole types. Harvest for snaps when pods are good-sized; keep snaps well-picked, as production slows as seed matures. Strings will develop in over-mature pods in any variety. For dry beans leave pods on the plants until dry, or pick when leathery, and dry indoors. 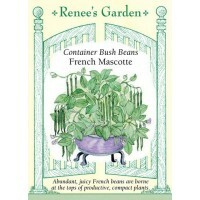 Renee's EXCLUSIVE - Mascotte is the first true container green bean variety, perfect for patio pots and small space gardens. Developed by expert French breeders, these fast-growing compact, sturdy plants are extremely disease-resistant and produce heavy yields. 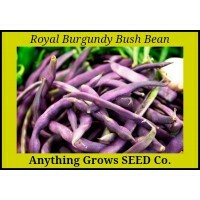 You’ll enjoy their pretty purple blossoms, followed by super abundant, slender, crispy, delicious green beans. 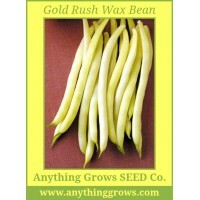 Beans are borne at the tops of the plants, so they are both ornamental and easy to harvest over a long period fo..
Gold Rush has 5¼" long yellow wax pods and white beans. The pod is straight and hangs in clusters around the main stem, making picking easy. Its fine flavor and durability makes it very popular with gardeners. Freezes well. Maturity 55 Day's. Garden Tip: Resistant to mosaic virus and powdery mildew. ..
Maxibel. 62 days. Classic French filet bean - Aka Haricot Verts. Maxibel is tender, straight, sweet and stringless, perfect for the gourmet market. 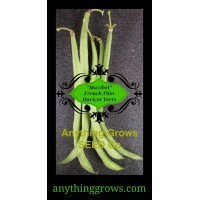 Rich green beans are exceptionally long and thin reaching 15-20 cm. in length and .6 cm. in width. For best quality, pick young, slender beans frequently. Tiny, perfect & delicious. .. The standard fresh market variety for green beans. Provider comes through every year with early, heavy yields of attractive, uniform beans. Plants are vigorous and productive with strong root systems, even under adverse conditions. Good resistance to mildew and virus. Purple seeds. 5-6" uniform pods (Phaseolus vulgaris). Maturity 50 Days. Disease Resistance: Bean Common Mosaic Virus (NY15), Downy Mildew, Powdery Mildew, Pod Mottle Virus Soil and Nutrient Requirements - Beans ..
Royal Burgundy Bush Bean - Certified Organic - High Mowing Organic Seed. Beautiful deep purple pods have a contrasting bright green interior and rich flavor. When cooked, the purple turns to green indicating they are perfectly blanched. Wonderful raw, with dip, or in salad. Tolerates cool conditions so you can sow them a little earlier than most beans. Maturity 55 days. 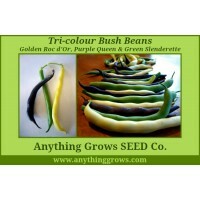 ..
Tri-Colour Bush Bean Mix (approx. 85 seeds/pack). A blend of three colors of bush beans for a space-saving rainbow of flavor and color in the garden and at the table. Sturdy, vigorous varieties. Equal parts: Golden Roc d'Or, Purple Queen, Green Slenderette Bush Beans. Maturity 55 Days. START SEEDS OUTDOORS: In spring once weather is warm and settled and night temperatures stay securely above 55°F (13°C), plant seeds in well-worked, fertile soil in full sun. Pok..